Show the elements your the BOSS this year and keep your plow pushing at peak performance. We carry the BOSS snow plow parts you need to keep your snow plow in action instead of in the garage this winter. Our job is to help you keep your plow working hard all winter long. That's why we source only the best replacement parts we can find. Browse our selection of BOSS snow plow parts categories below to find the part you need to get back at it! Not sure what part you need? Our friendly and experienced sales staff is here to help. Give us a call or send a message and we'll help you find the replacement part you need to get you back to work fast! BOSS started its journey in manufacturing snow removal products in 1985 and has been focused on developing snow removal products that meet and exceed the quality and durability expectations of commercial snow removal professionals. This focus on product development has brought BOSS to the front of the industry as a leader in the snow and ice management business with an expanding line of snow plows, salt & sand spreaders and box plows designed for both residential customers and commercial professionals. With their eyes set on reliability, innovation and performance, BOSS has been able to grow to one of the leading sellers of snow plows. 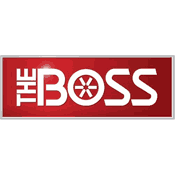 BOSS designs and manufactures their products in Michigan's Upper Peninsula. In this region of the USA extreme winter weather and deep snow are an annual part of life. That's why they're so passionate about developing innovative and dependable snow removal equipment.